The power of an influential life is this: When others see us, they wanted to be just like us. The power of a Christian testimony is this: When others see us, they wanted to be just like the Christ they see in us. Influence moves people. Those who have been touched by Mother Teresa will faithfully learn and work like her. Those who have been impacted by the peace efforts of Mahatma Gandhi and Martin Luther King Jr. will advocate for the peace Gandhi and King had preached. Those who have been transformed by the ministry of Billy Graham would be on the way to evangelize and to share the gospel, just like the legendary evangelist. We like to become the people we like. The essence of leadership is that people would desire to follow the leader. If there are no followers, what good is a leader? Missionaries have been known to be powerful influencers of behaviour. The famous missionary to China, James Hudson Taylor once said this legendary phrase: “God’s work done in God’s way will never lack God’s supply.” Such a statement has spurred the followers and members of the Overseas Missionary Fellowship to persevere with their faith-based ministry, never publicly asking for funds and fully trusting God to provide in God’s timing. Those who doubted will need to explain why the organization had been sustained for nearly 150 years. Set up originally as “China Inland Mission,” OMF members currently serve in more than 25 countries. Just like Taylor who learned the Chinese language so as to speak in the language of the people group he was trying to reach, there are many young Christians who pledged to do the same. Taylor dressed like the Chinese, spoke Chinese, and lived among the Chinese. I know of several friends who had gone to China and lands beyond based on the influence of this man of God. In the late 1800s, a Canadian missionary named John Geddie arrived on the islands called New Hebrides, located West of Fiji. 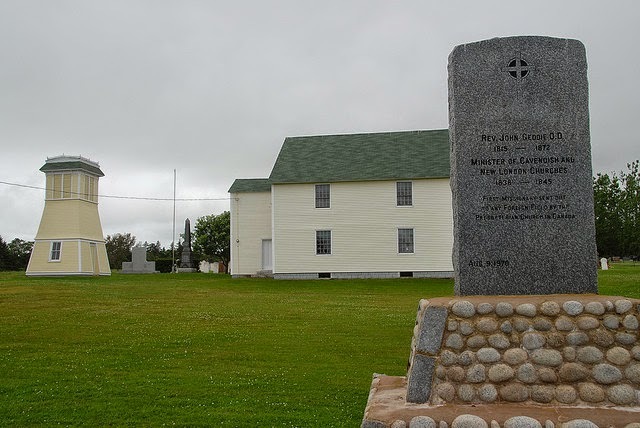 A memorial in front of his home Church summarized his ministry aptly: “When he landed in 1848 there were no Christians here, and when he left in 1872 there were no heathen." Geddie influenced several men who subsequently volunteered to continue the mission. The best thing a father can ever hear from his son, is to hear that the son wanted to be like his daddy. The sweetest thing anyone doing outreach is to hear a confession for Christ. The most encouraging thing for any Christian living like Jesus, is to have people wanting to be Christians because of the Christ they see in us. Here is the challenge I have for you my readers. When non-believers see us, will they long to join us? Will they want the same kind of faith that you possess? Will they crave to want to know your God? The gospel essentially means “good news” but how many Christians are bearers of good news? The sweetest thing for me, is that when others see me, they do not want to live like me. They want the Christ I have in me also to be in them.